This elegant offshore cruiser offers an exceptional interior and deck plan designedby Vittorio Garroni with ease of handling in mind: every detail has been conceived tooffer the highest quality cruising experience. She boasts a long waterline and careful weight distribution that ensures speed and seaworthiness unmatched in her class.Rich materials are found throughout including leather, enduring flooring and stainless steel. Sleek windows bathe the interior in light.She features a unique 2 cabin, 2 head layout with a Starboard Aft Galley. The salon takes advantage of the full beam of the vessel.Princess Layla has been professionallymaintained and meticulously cared for by a professional captain since her purchase by the original owner. She has been lightly sailed, never chartered and is ready for her new home. United Yacht Sales New Jersey would love to guide you through a personal showing of this 54' Jeanneau 54 2017. 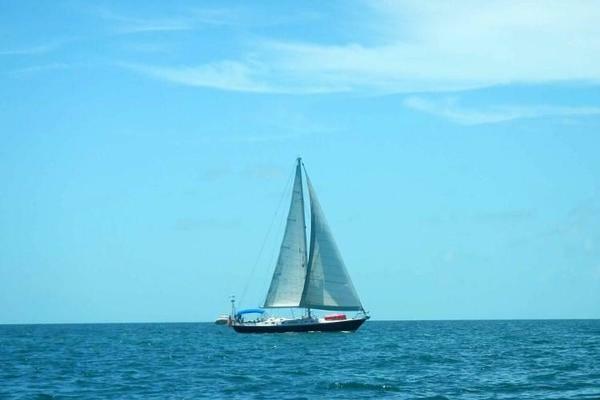 This yacht for sale is located in Riviera Beach Marina, Florida and priced at $699,000. For a showing please contact us by filling out the form on this page and we will get back to you shortly! Every aspect of the Jeanneau 54 is all-new and designed to fit the way you live, like no other yacht in her class. Never before seen solutions are found throughout, from the clever VIP interior layout to the spacious living cockpit and the easy and discreet management of the tender and the innovative aft terrace. Every detail and function has been considered to enhance life aboard and the cruising experience.The Jeanneau 54 is born from the close collaboration of Philippe Briand, who’s chined hull and elegant deck profile ensure seaworthy handling and timeless looks, and Andrew Winch’s meticulous approach to every ergonomic detail and the selection of high-end materials that echo the look and feel of his super yacht pedigree.